There can be multiple hurdles between choosing a software and successfully implementing one. 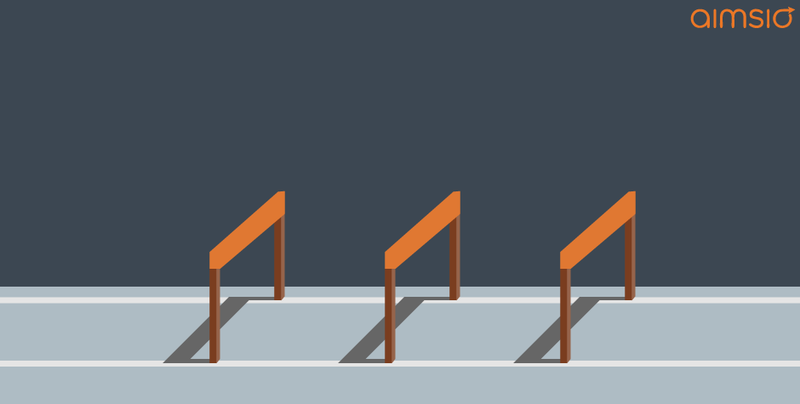 And the hurdles look different depending on where you’re at in the process. 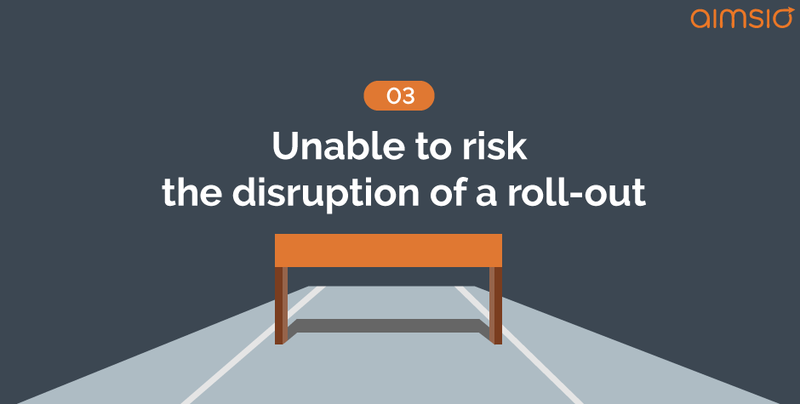 Between buy-in and roll-out, a lot can happen, so let’s take a look at how to address three common hurdles. There are two underlying objections in this early hurdle. First, stakeholders aren’t seeing the value in digital management. The cost-benefit analysis of going paperless can be miscalculated without considering variables that aren't immediately obvious. Second, they aren’t completely sold on the fact that managing field operations can be improved by moving to a digital platform. Knowing how much money is lost through inefficiencies is challenging. Sometimes you know which tickets are missing, sometimes they go undetected. However it happens, analysts estimate annual revenue leakage to be between 1 to 5 percent of total revenue for service companies. For a company with annual revenue numbers of $10 million, that can be half a million dollars left on the table. Quantifying gains is tricky, too. You can start with half-mil of previously lost revenue and add the interest avoided by not borrowing for capital investment. Depending how it’s reinvested, this money can impact your bottom line in big ways. Often times, if you’re a superintendent with boots on the ground, or an accounts receivable manager struggling to send complete bills to the client, it’s tough to show upper management how paper tickets and manual processes are the source of big inefficiencies. Then, you have to make the case for the alternative to paper which involves the big ask of investing in unfamiliar technology and integrating it throughout the company. Appealing upward requires hard numbers and solid assurance that there are substantial benefits with extremely low risk. Our ROI Calculator can help estimate some preliminary numbers, and we’re happy to chat with you about which processes can be streamlined by kicking the paper habit. Another way to frame your pitch is to ask what the future will look like for an organization that doesn’t modernize their systems. Project revenue and opportunities lost from staying stuck in the status quo. Change is often met with strong defense of the old way of doing things. The unfortunate truth about paper tickets is that they leave the door open for inaccuracies, delays and lost backup - making them a logical choice for process change. Objections may come from the recognition that going digital means a higher level of accountability and the inability to put off daily paperwork. When it’s time to get buy-in for moving to a digital platform from guys in the field, the adage about catching more flies with honey applies. 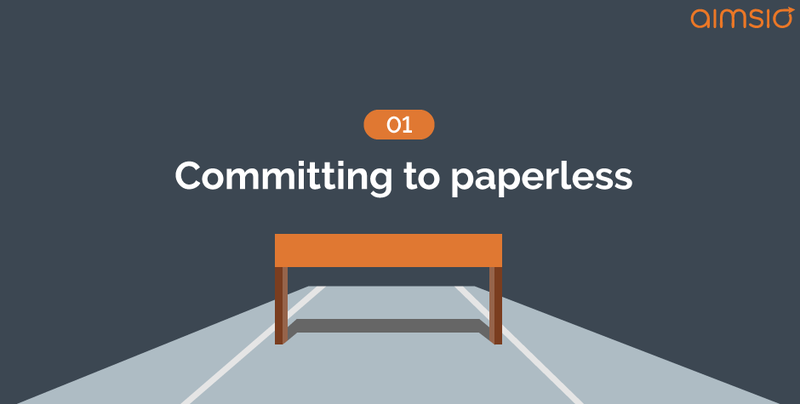 The best outcome for implementation involves your field crews believing that going paperless will benefit then as much as anyone. This may seem too obvious, but the chosen software must be truly faster and easier for the guys in the field. At Aimsio, our program’s usability reduces the change management efforts that are needed. Our interface feels familiar, users intuitively navigate through their tasks and quickly appreciate the time saved by digital forms. Not all SAAS vendors will deliver the same level of service, either. Diligent research is needed to make sure you’re with the right provider. Was there a discovery call that assessed how well their offering fit your operations? Do they have experience with similar companies within your industry? Can they match your existing forms and processes? The new platform is far more likely to be used (and used well) if it matches the needs and suggestions of the field. Also assure everyone that they cannot be replaced by paperless technology. A common fear of innovation is losing one’s job because the efficiencies work too good. Implementations are best left to the experts, it’s true. Without an experienced team to guide a company through the process, executing a shift-change as critical going paperless can easily go sideways. Equally important is solid commitment to the process from the client. Without dedicated resources and the willingness to stick to a timeline, implementations can drag out and become wasteful. At Aimsio, we modify our implementation strategy to match the needs of each one of our clients. That’s because we aim for as little disruption to day-to-day operations as possible . This means tailoring the experience based on each company’s size, structure, schedule and stakeholders. We start with a thorough mapping of a client’s processes and workflows. Recruiting an internal team to collaborate and give timely feedback is a good way to expedite this process. Next, we digitize processes and all forms, making sure that the forms look like exact replicas and function even better (filling out forms becomes fast and easy with auto-populated fields and built-in calculations). In large companies, before it’s time for the testing phase, we can break down a timeline and stagger which departments are participating. Testing the digital platform alongside the paper processes ensures that there is a safety net if any kinks need to be worked out. This is also a great time to review the digitized work flows to make sure we captured the processed in a usable way. Really good training is the next integral step. We’ve found the most success with initial training happens in a classroom setting with at least two instructors so that no one gets left behind. We include the administrative users and field employees, but future new hires can be trained in 15-20 minutes on the basics. Finally, it’s time for the roll-out, where you can ditch the paper and go all-in with the digital processes. 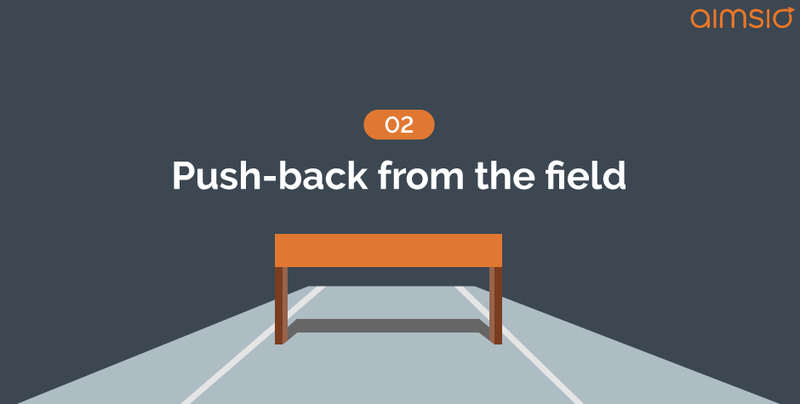 To stay on track, it’s a good idea to set and incentivize a target roll-out date. We have found splitting roll-out dates by department or location reduces disruption and helps things go smoothly, but that decision is totally up to the company. With everything in place, we like to offer a training top-up here, too! Overall, expect and prepare for your software implementation to take time and energy. Dedicate the necessary resources and demonstrate commitment to the process from the top down.  Choose a software partner that is experienced, flexible and offers quality training and support. Inevitably, the pain of failing to change will be far greater than the discomfort that comes with moving to a digital platform. Click the link below to see how Aimsio makes it easy.